"Children use fantasy not to get out of, but to get into the real world." Drama and role-play are ideal tools for working with a variety of groups including children and young people with special needs. 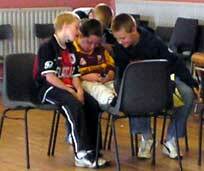 On this site you will find examples of educational and community drama in practice with some starter ideas. Click on the links below for crosscurricular activities.